Discussion in 'Free Replica Paper Props' started by starfighter66, Oct 21, 2011. Has anyone here done a Zombie Hunting License?? Is it from a specific movie/tv show? heres a few i found on line, enjoy. Those are AWESOME, breen2057 thumbsup Thanks for sharing them here. thanks for these, they are great. 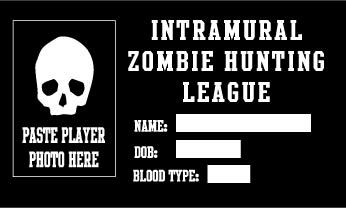 Here are some zombie hunter id's I made. You can use these as well if you like. 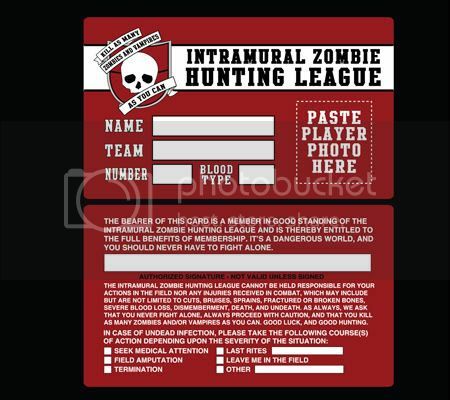 And if you want a zombie hunter permit, I can always make one up for you if you have something in mind. Be very,very quiet, I'm hunting Zombies. The heck with that! COME GET SOME!!! MAAZ and Keelan562 like this. Pride and Prejudice and Zombies - Map?